Don't you feel there is a close relationship between sarees and Indian Weddings? The first thing that comes to your mind when you think of weddings is the costume and of course, the first preference is given to sarees. Even in this trendy, westernised culture,when it comes to the wedding, we do not fail to stick to our traditions and one such tradition is our wedding saree. Sarees are not just a part of south Indian wedding but they play a major role all over India. Traditional sarees never lose their charm. Though there are modern outfits that are sold across the country, sarees steals everyone's heart. Sarees are traditional attire but it can also make you look trendy and modern. Most of the young girls of this generation prefer saree for special occasions which will make them look unique and outstanding. Things to do on a Sunday that doesn’t lead to arguments, dislikes and disappointments! What happens when two people with total difference in mind-set plans their weekend? The ‘things-to-do’ list gets bigger and bigger and finally ends up with spending too much, silly arguments and blames.I and my husband are like opposite poles with difference in opinion but we manage our weekends in a well-planned way that makes it interesting for both of us! Warning! Never plan you Sunday’s on a Sunday! We are all human beings and nothing is going to work if we plan it on the same day. Plan it on a Saturday night so that you follow it on Sunday. If you have enough time, you can spend a lot of time planning during the weekdays. Priorities, give space for your partner! Our Sunday ‘to-do list’ comprises of 3 parts; Home essentials and improvements, personal entertainment and areas of common interest. This makes it easier to plan according to our likes and dislikes.Home essentials are something we cannot compromise so we ensure that both of us agree for the same. Who said travelling alone is boring and not safe? I do agree the fact that it is fun to travel with family and friends especially when you are travelling to new places and country but your situation cannot be the same all time so you need to learn the art of traveling alone. I have been travelling alone since the age of 18 and I feel comfortable and peaceful in travelling alone. I don’t have to wait for someone too long, I don’t have to wait to share my lunch or dinner with them, no sharing the rooms, and I can be independent and do what I actually want to. I have not traveled to new places but I’m sure I can handle even new place and new language but here are some safety tips (especially for women traveler) for all those who love to travel alone. Understand your place well – If you have planned your destination, ensure that you learn about the place that you are travelling to. Know about the hotel where you are staying and also choose the safe mode of public transport. I was allowed to vote when I was 15 years young! Are you surprised? Yes! It’s true. I was allowed to vote when I was 15 years of age. It was during my 10th standard in the year 2004, It was my first voting experience. Of course it was not for the State but for my school pupil leader. Voting system was introduced to us even during our school days. We were given opportunity to vote and choose capable student to become the school leader. Students were nominated based on their academic performances, talents and involvement in social activities. Like the state election, every candidate was allowed to choose their voting symbol, tag lines and they were allowed to do their election campaign using props and materials, dance and drama! We used to have so much fun during the election season which normally starts during the month of June when our academic year begins. It used to be fun during our school election times. Our school used to be filled with banners, posters, slogans and election campaigns! Our reactions about ‘When are you expecting a Job Transfer’? My husband is really sick of answering questions regarding his ‘job transfer’probed by my relatives, friends and others. My husband, who is workaholic, loves to work in Mangalore (that is where currently we are settled) which is far away from my hometown (Chennai) and his hometown (Cuddalore). I had to leave my job (which I’m fond of) just for him as there are no opportunities here in Mangalore. So, when I had to choose between my career and life, I was wise enough to choose‘life’. While I’m happily settled here in Mangalore, (though I miss my home in Chennai, work, relatives and friends – that’s a different story all together) here is how my husband reacts, reacted and have been reacting to the questions that were asked about his job transfers! Are you looking for cute wedding or engagement rings? Here are some cute ones you can prefer! Am I going to tell you where you can buy wedding rings? Oh! Please. Having been in Chennai for almost 26 years, I haven’t found the right place to buy jewelry at a cheap price. I know shops to buy trendy ones but not sure if they sell at best price.There are many online shops where you can buy perfect wedding rings. When it comes to jewelry, I prefer the design rather than the price but my father is totally opposite! He knows the best shows to choose jewelry at a reasonable price where the making charges are less, there are no wastage etc. When it came to choosing my own wedding and engagement jewelry, my dad suggested that we go to the shop which has latest designs, trends, and collections and I agreed instantly! 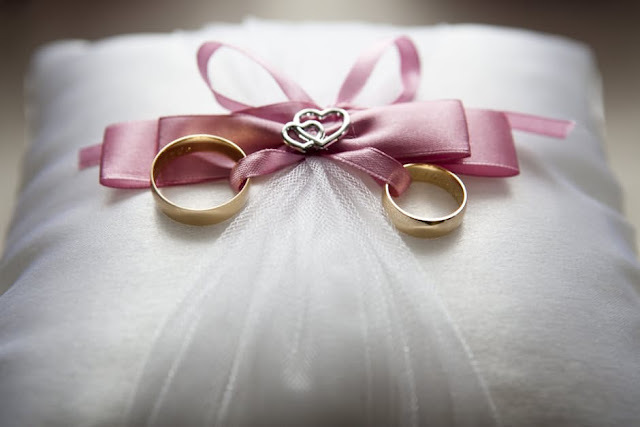 Wedding or engagements rings are something that is close to us that we wear it throughout our life. So, I feel, we need to look for something creative, unique, trendy, comfortable and easy to wear for everyday use. Food is very important for your wedding; here are innovative and creative ideas to serve food for your guests! Invite your relatives, friends and loved ones for your wedding, seek their blessings and serve them good food. While you concentrate on all preparations for your wedding, food takes the priority and it is the most important thing that you must concentrate. Believe me or not, people remember our wedding by the taste of the food. There are new trends followed in every wedding and if you are looking for innovative ideas to serve best food for your weddings. Here are few ideas that inspired me. I always look for a change and when the change is interesting and innovative, it is time for us to implement the same! Realize the importance of voting in India – Every vote counts! Once you are 18 years old, you get the right to vote. In our country voting is constitutional right for every citizen. Do not consider the voting day as a day of rest but remember it is the most important day that helps you to choose the best change that you have been waiting for! Why should you cast your vote? Is it necessary? During every election, it is noted that most of them who are above 18 years of age do not cast their vote. The reasons may vary, but the consequences are worst. If you want to be a responsible citizen, it is important for you to cast your vote! Here I tell you the importance of voting especially in our constitution. Are you looking for Ideas to impress your wife? “Impressing wife” is the toughest job for any men. They can impress their boss at office but when it comes to wife, most of the husband fails. If you are still at level one, trying to impress your wife, these simple ways can be of great help. Greet her and Thank her- This is very simple but it has an emotional bonding. Greet her as soon as you wake up in the morning, she will be impressed and she will be thinking about you the whole day. Follow the before you go to bed, which strengthens the bonding and also improves the trust in relationship. Follow the habit of saying ‘thanks’. It need not be a big thing, but it is your responsibility to thank her for all the efforts that she takes for you. Surprise hug or a kiss –Do you want to see your wife blushing? Give her a kiss when she least expect it and hug her as soon as you get back home from office. Your touch can help her understand how much you missed her throughout the day.